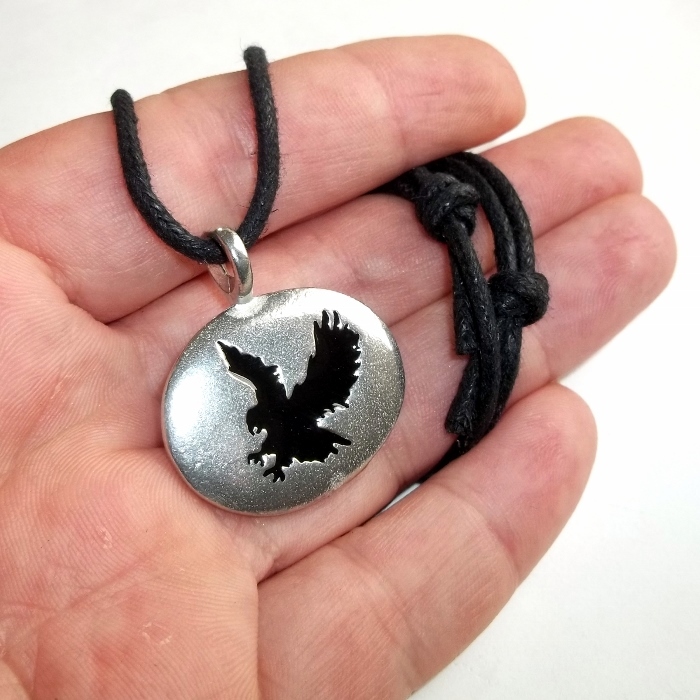 The Spirit Eagle set in a unisex necklace with a black sliding knot cotton cord. 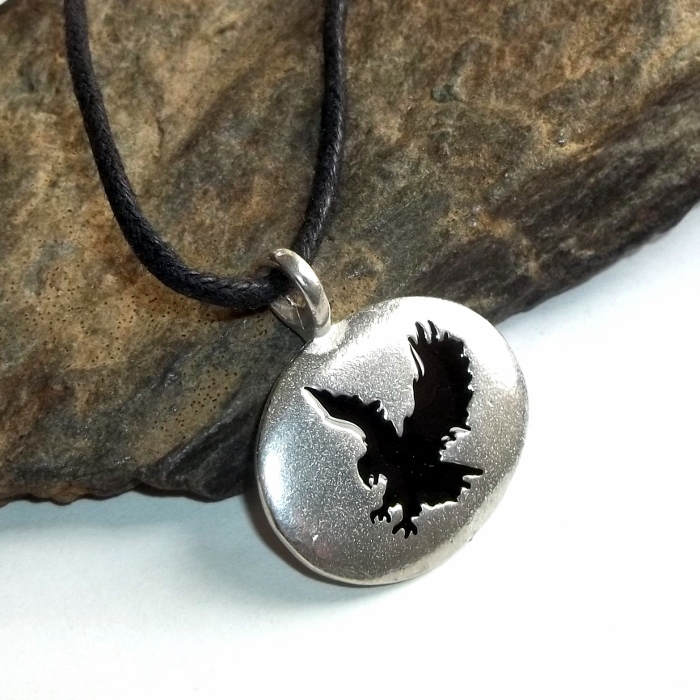 The Eagle Spirit brings power, courage, and endurance. Eagles fly high above the ground and see the situation with a clear vision and live in balance with heaven and earth. 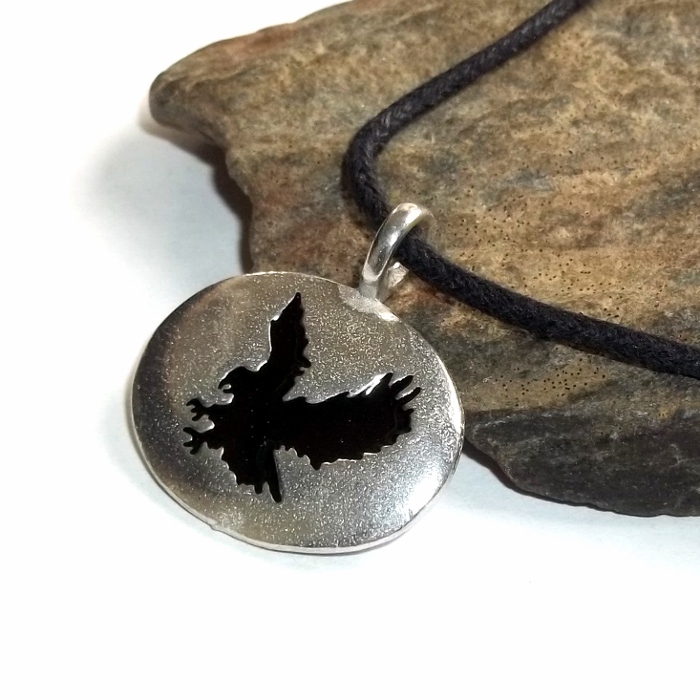 Your Spirit Eagle can help you to feel free and gain the power to rise above earthly matters. I call on the soaring spirit of Eagle. Carrier of prayers, show me how to fly to the greatest heights. And to strike at the right moment. That which lies ahead and that which surrounds. And to stand solid when not in flight. And to life what I find into the light. 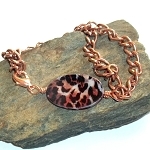 With courage, with nobility, with creativity. Eagle, I call to thee. 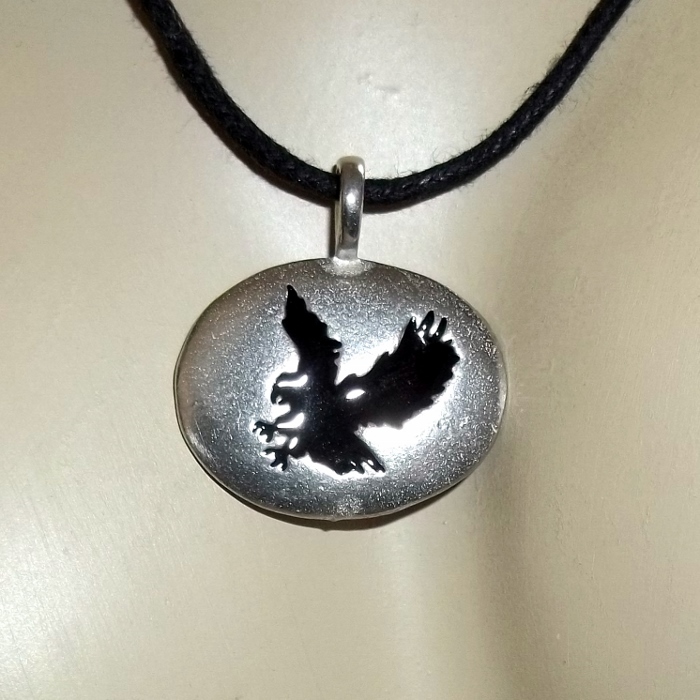 The Spirit Eagle pendant is approximately 1 inch by 7/8 inch in lead free pewter.